If you’d told me 35 years ago, after I’d scraped through beer-and-sport-fuelled university with an ecology degree, that I was going to make a living out of conservation, I would not have believed you. But the fact is that there are now literally thousands of people out there who are professionally employed in conserving and restoring our still beautiful, but quietly ailing natural environment – in fact there are 200 of them in the Environment Agency alone. Back in the late 70s when I was cutting my teeth on wildlife surveys, I remember my rugby mates expressing indignance that their taxes were paying for me to “count grass” and suggesting that I had “a girl’s job” – nowadays ‘the bloke down the pub’ instantly recognises that people like me have a role in society which is both interesting and valuable. The question is - are we conservationists really making any difference? The simple answer to that is – yes, but just as the environment has suffered near-death by a thousand cuts, so it requires healing by a thousand operations, and that takes time. You can’t spend 200 years knackering the environment and then expect to put it all right in the blink of a government. And that’s where it gets tricky, because it is only through long-term sustained effort on the ground delivered by a mix of professional experts and world class armies of UK NGO- inspired volunteers and backed up by continually improving legislation and policy, that we will turn things around. But we are getting there. In the 30 years I’ve worked at the Environment Agency, I have seen amazing changes in both attitudes and action – changes that were beyond all my expectations. I would never have predicted that we would create as much as 5,000 hectares of new wildlife habitat in the last 10 years, or that otters would be back in every county in England, or that we would have a truly world class piece of legislation (the European Water Framework Directive) that requires us to get all of our rivers, streams, lakes and estuaries into good condition by 2026. Despite all of these achievements, the key message that the environmental community have yet to embed in wider society, is that we need a healthy environment to sustain a healthy economy. The problem in getting that message across is that, as the National Ecosystem Assessment demonstrates, you can’t get away with milking the environment for every penny in the short term and not suffer the consequences in the long term. What we need now is to be brave, to commit to long term strategies for environmental improvement and not to be distracted by economic recession from tackling the single biggest challenge facing our country – the balancing of a healthy environment with a healthy economy in the face of population expansion and climate change. 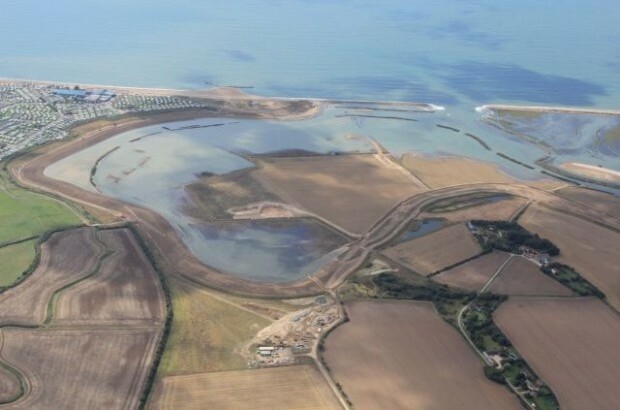 In the meantime it’s never a dull moment back here in the Environment Agency - we recently completed a mega coastal realignment scheme at Medmerry in Sussex and have another underway on the Steart Peninsula in Somerset. These schemes are delivering fantastic new habitats for wildlife whilst reducing the risk of coastal flooding. We also ran the Challenges and Choices consultation for the second round of River Basin Plans. The feedback received through this consultation will help to inform how we manage river habitats going forwards. We have a wonderfully biodiverse planet to save, and everyone has a part to play in that ambition – but one thing’s for sure though, it’s a marathon not a sprint. You can find out more about the biodiversity work of Alastair Driver and his Environment Agency colleagues on Twitter. This blog was first published on Nature.com’s Soapbox Science blog.